Beautiful pair of small hairbows with metal clamp. Perfect finishing touch to any formal dress. 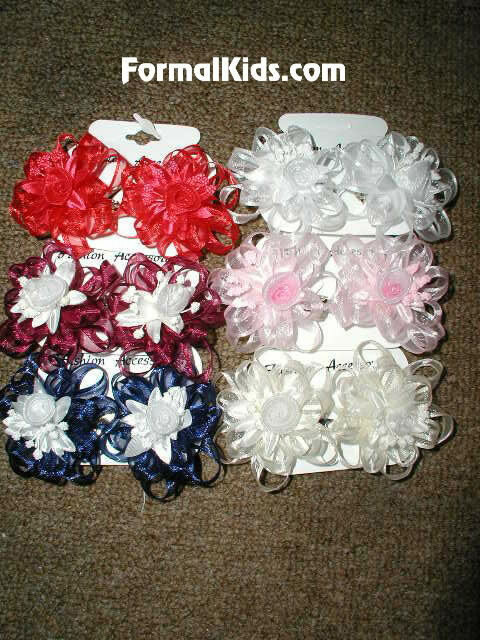 Hairbows can be used together or alone, satin ribbon with beads and flower accent. Great for infants and toddlers.